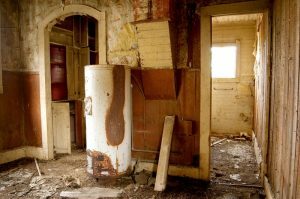 When to Get Your Water Heater Checked | MarGo Plumbing Heating Cooling Inc. Maintenance should be done annually. There are various tasks that are performed during an annual maintenance, and many problems that can be prevented if caught early on by a Montclair plumbing company. We’ll go through what those are in today’s post. We don’t condone that amateurs handle these maintenance tasks on their own. So if you’re not the one doing them, then who is? Here are just a few of the services you can expect during an annual maintenance check. The water tank will gradually collect sediment as time passes. Unless you have your plumbing system running through a reverse osmosis filter, it’s not something you can avoid. And, frankly, it’s not necessary that you avoid it, either. However, that doesn’t mean you can ignore the buildup. Sediment buildup needs to be flushed out of the tank annually. Too much sediment in the tank can create efficiency issues, popping noises, and even create the conditions that will burn a hole in the tank. These two valves are vital to prevent your water heater from facing disaster, such as a burst tank. Since your water heater tank is essentially a big container of heat and pressure, you can imagine how that might get dangerous if it gets out of control. Luckily, these two valves will activate if the heat or pressure levels get too high, thus saving you from a costly replacement. Of course, that’s only possible if they’re in good working order. A maintenance check will assure that. The “sacrificial anode rod,” as it’s sometimes called, is one of the lines of defense against your water heater’s destruction. It turns out that the water inside your water heater is highly corrosive to the tank, thanks to various minerals in the water. However, the magnesium-based anode rod manages to attract these corrosive elements toward it instead, thus saving your water heater. Anode rods dissolve and need to be replaced after about five years, but it doesn’t hurt to check on it every year. So what kind of problems can maintenance actually prevent? Temperature fluctuations: Shifts between low and high temperature can be prevented with tank flushing. Lack of hot water: The heating mechanisms themselves may be worn out and in need of replacement or inspection. Popping noises: Sediment buildup can create pockets of heat that make an alarming popping noise. Low water pressure: Another issue that can be caused by a tank in need of being flushed. Bad tasting water: An indication that the water tank is experiencing corrosion. Inspection is needed ASAP if this is the case. Leaks: Many issues that cause leaks in the tank—thus causing a premature end to the tank—can be prevented. If it’s time for a water heater inspection, or if you’ve never had one before, it’s not too late. Contact MarGo Plumbing Heating Cooling Inc. today!